Choosing a Zero VOC paint used to mean going green at the expense of something else. Maybe the quality wasn’t very good, or you just couldn’t find the perfect shade. Fear not – Zero VOC paints have vastly improved over the years. 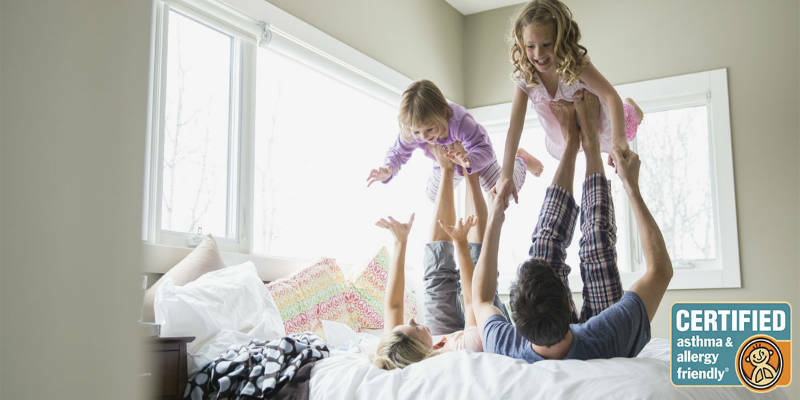 Nowadays, it’s a lot easier to enjoy the benefits of a Zero VOC paint – no odor, better air quality, non-toxic – without losing the great quality of a regular paint. We created a paint that is scientifically proven to have a reduced level of allergens. The asthma & allergy friendly® Certification Program* independently tests and identifies consumer products that are more suitable for those living with asthma and allergies. Natura earned the certification based on its odor, emission and VOC performance. 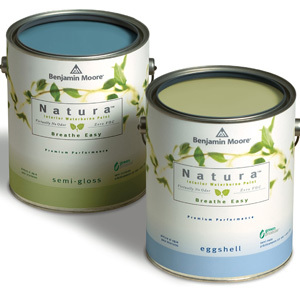 Unlike other low VOC paints, Natura Paint can be tinted with any of the Benjamin Moore colors, without adding VOCs. This gives you more than 3,000 shades to choose from. Also, Natura® not only offers Zero VOC paint, but takes it one step further with “Zero Emissions” Paint measured at 4 hours after application– a guarantee that there are Zero VOC emissions detected from the paint. In other words, you and your family won’t be inhaling emissions from compounds like formaldehyde and acetone – talk about breathing easy! *The CERTIFIED ASTHMA & ALLERGY FRIENDLY Mark is a Registered Certification Mark of the ASTHMA AND ALLERGY FOUNDATION OF AMERICA and ALLERGY STANDARDS LTD.